Don’t lie ah, we know you were among those people who queued up. 2017 is coming to an end soon, therefore we are closing the chapter of our food adventure this year. 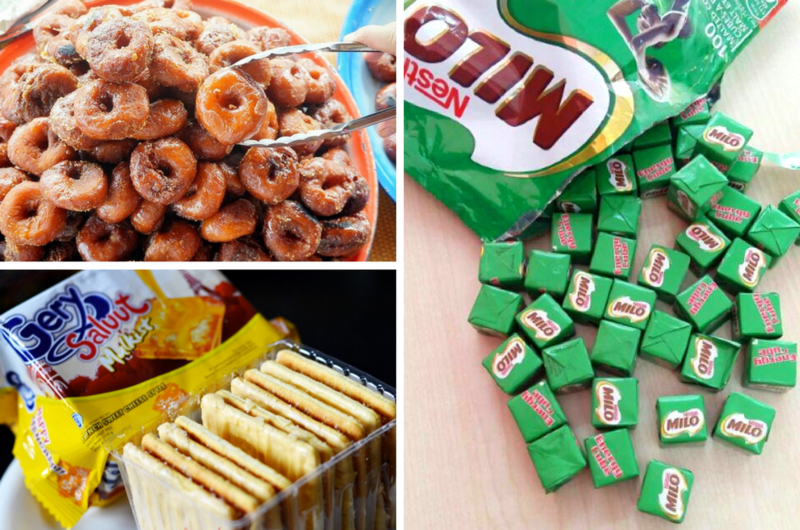 Our taste buds (and Instagram accounts) were treated to another gastronomical explosion throughout the year, thanks to a number of trending food that sent Malaysians into a frenzy. So, here’s a recap of the types of food that went viral this year and got everyone queuing up like mad and even fighting with each other. 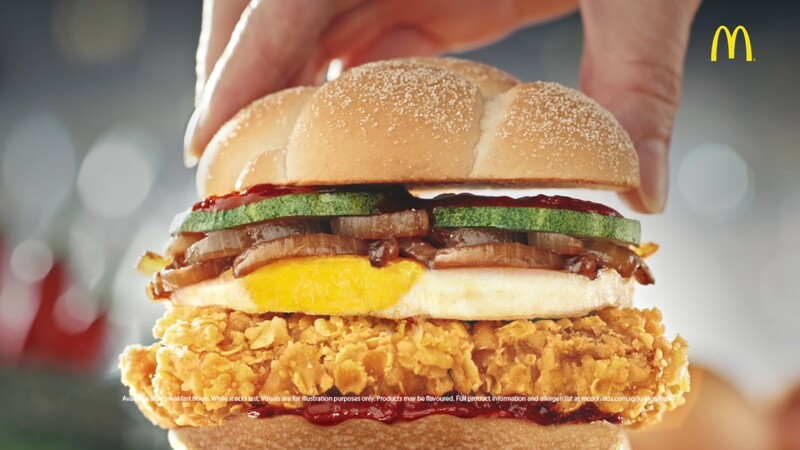 McDonald’s Singapore came up with something that caused even more traffic jam crossing the Causeway bridge. 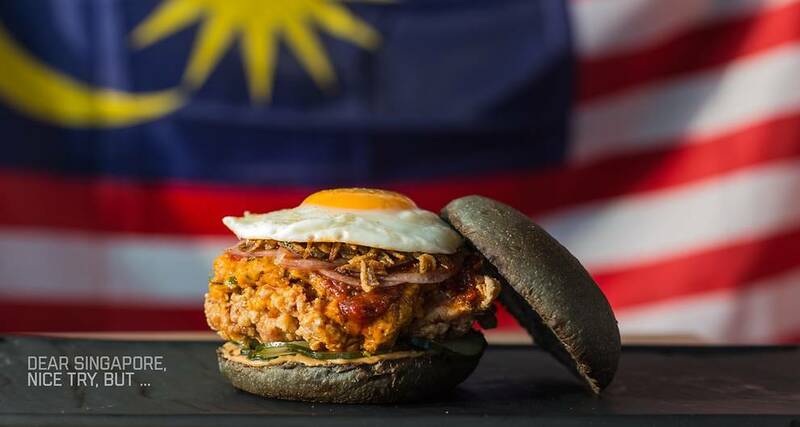 They divided Malaysians and Singaporeans after creating a burger inspired by Malaysia’s most popular dish and named it the Nasi Lemak Burger. The burger comes with a coconut-flavoured chicken patty, a telur mata, sambal, cucumbers, and onions. Malaysians were emo about it – due to the missing rice element and because it wasn’t sold on our shores. MyBurgerLab saw a demand and seized the opportunity and came up with their own version of the nasi lemak burger. Other food establishments also followed suit and suddenly boom! For a period of time, it was raining nasi lemak burgers everywhere. Apart from nasi lemak, another dish we Malaysians have grown to love thanks to our multi-cultural background is the biryani rice. So, how does one elevate the ordinary biryani dish? You cook it in a natural element – bamboo! This hybrid biryani got Malaysians travelling all the way to Klang just for a taste. Not only does it taste great, it also looks great on your Instagram account, especially when the server ‘pours’ your biryani from the bamboo stub! If you're curious to know how it looks like in action, you can watch our video here. How far would you be willing to travel to for the love of food? Ask any Malaysians and their answer would probably be to the other side of the planet. 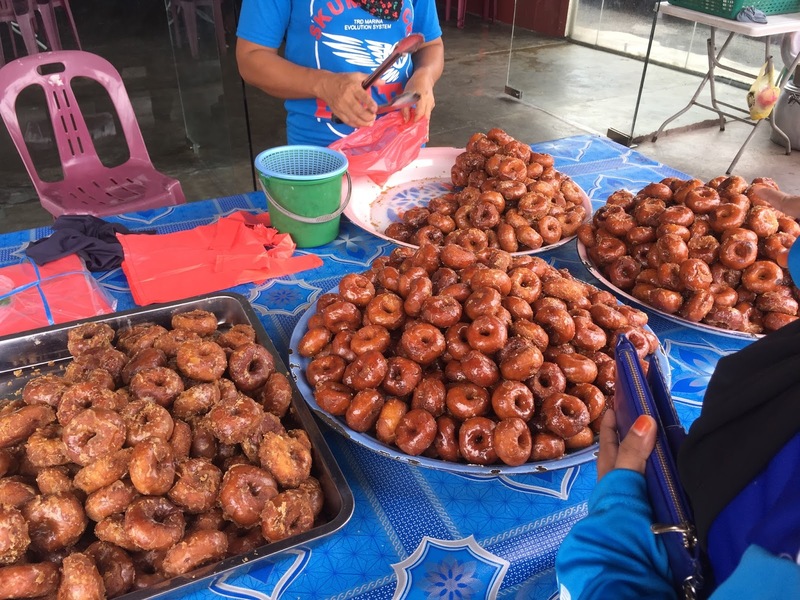 Earlier this year, kuih-muih lovers thronged the streets of Melaka on a mission to find the coveted Keria Gula Melaka. 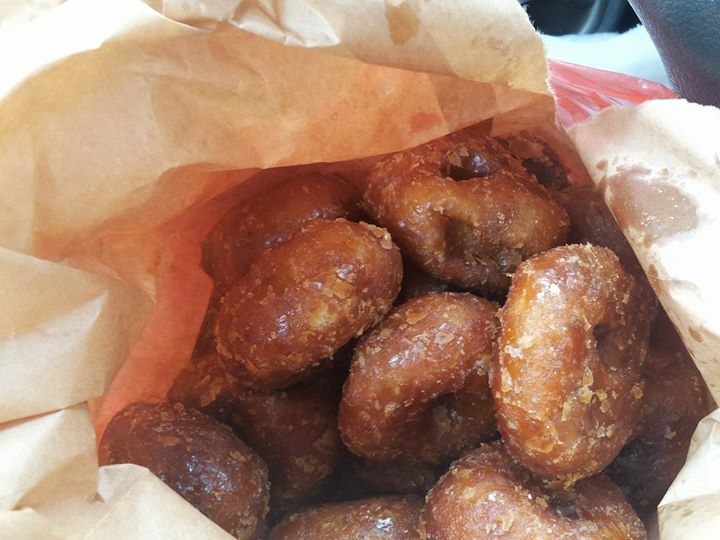 This traditional ‘donut’ made with sweet potatoes are dipped in luxurious, silky, brown gula Melaka. We heard that people even waited in line for two hours just to get their hands on them. Wow, the amount of patience and perseverance Malaysians actually have when it comes to food. 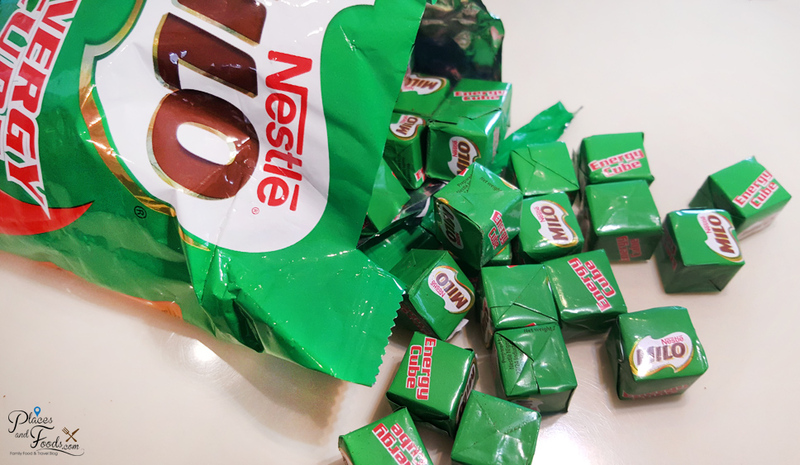 Well, it’s about time we rallied up and start a petition to get Nestle Malaysia to sell it in our country. 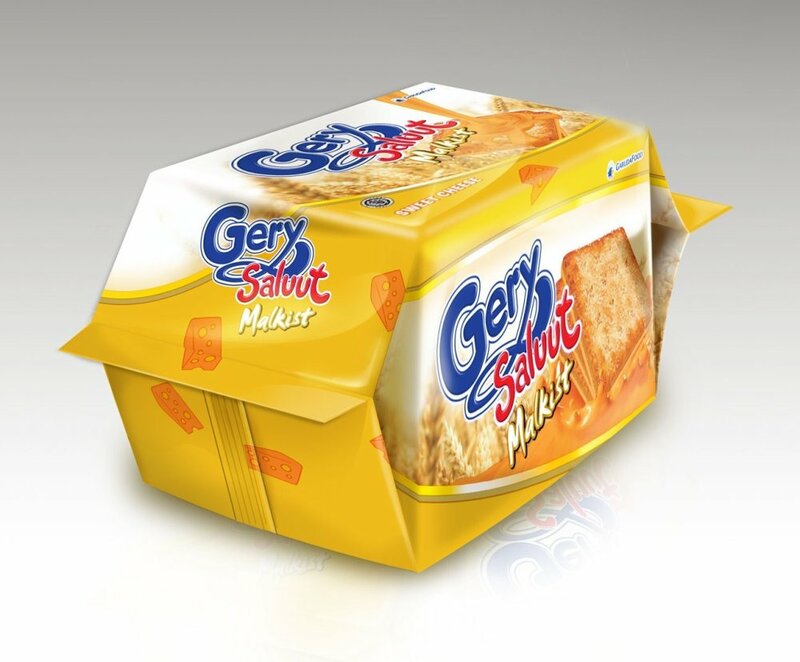 We don’t really understand our countrymen’s obsession with cheese but it’s no surprise when your ordinary Hup Seng biscuit gets the cheesy treatment and everyone went crazy for it. 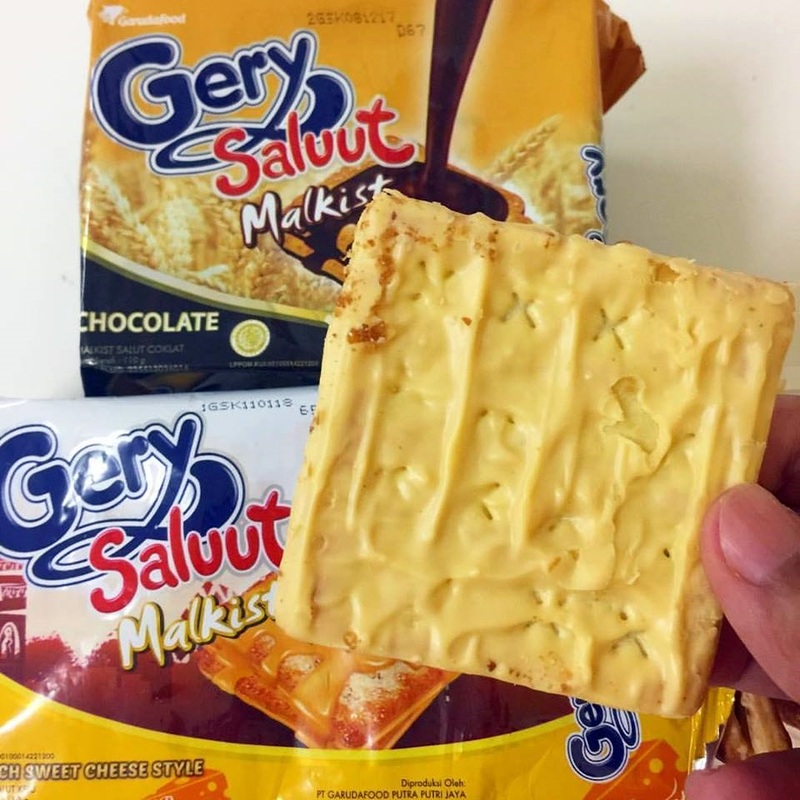 The Gery Saluut Malkist biscuit from our neighbouring country, Indonesia, made a popular debut in Malaysia this year and we understand why after trying it for ourselves – it’s smooth, sweet, cheesy, and crispy! Okay honestly, we just can’t fathom the hype around this. 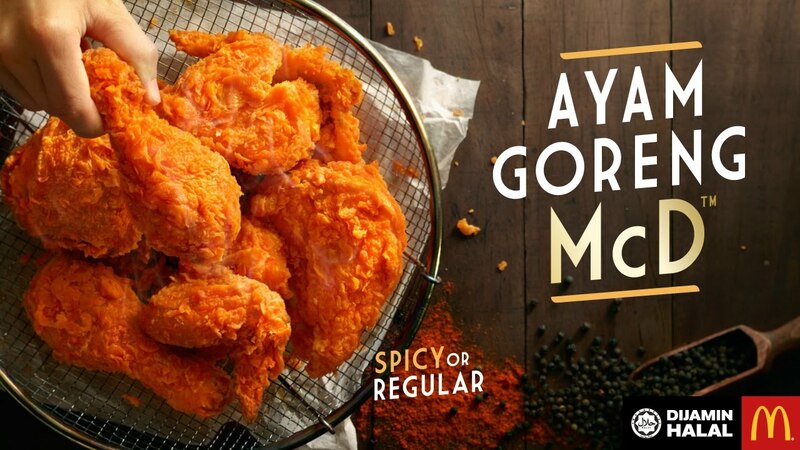 The Ayam Goreng Spicy McD has been on the local menu for a while now (read: years) and it was not until 2017 Malaysians realised how this spicy chicken fares better than their greatest fried chicken competitor. It’s our personal favourite and we were quite irked to find out that there was a sudden fried chicken shortage in McD as it was sold out everywhere! Who could’ve imagine McDonald’s selling out fried chickens instead of burgers, eh? Anyway, kudos to McDonald’s Malaysia for creating a successful marketing campaign! We were definitely drooling just looking at those posters. Besides nasi lemak, durian is also considered as one of our national dishes. It’s dubbed as the King of Fruits for all the right and wrong reasons (sorry but we cannot tahan the smell), and McDonald’s sure knows how to get to our hearts by introducing the D24 Durian McFlurry. Each cup of McFlurry is ladened with golden D24 durian sauce and small bits of the fruit itself! Since this was a limited-edition McFlurry, as expected, the ice cream was sold out everywhere. We Malaysians literally eat, sleep, and breathe this wonderful dish and treat it like our national treasure. In every nasi lemak dish, you can usually find your fragrant rice, crispy anchovies and ground nuts, slices of cucumber, spicy sambal, and either a sunny side up egg or hard-boiled egg. 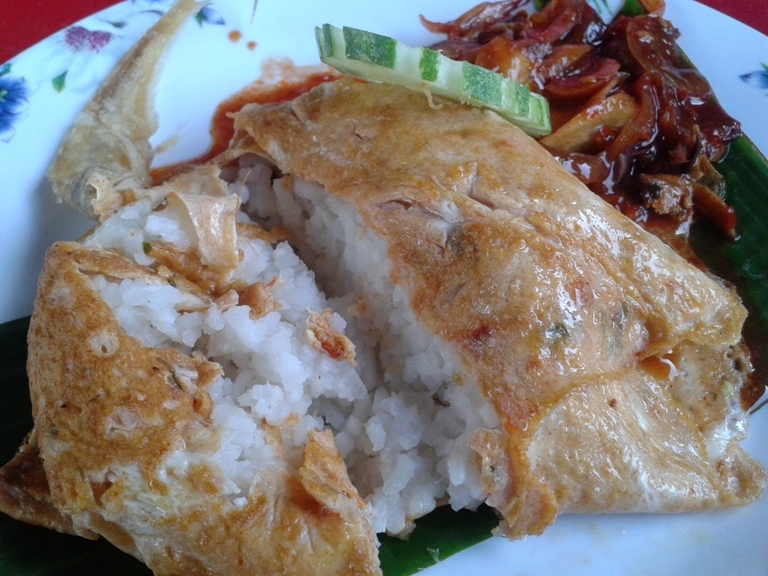 Well the tables have turned now when a small warung in a kampung near Kajang introduced the nasi lemak - wrapped in an egg! We personally went on an adventure just to locate the warung and boy, the nasi lemak telur bungkus didn’t disappoint us. Their secret sambal sauce mixed in the egg batter is what makes this a winning dish in our book. Trust us, it is worth the early morning drive. Don't believe us? You can watch our video here. For any pizza lovers like us, this is probably one of the most anticipated food of the year. 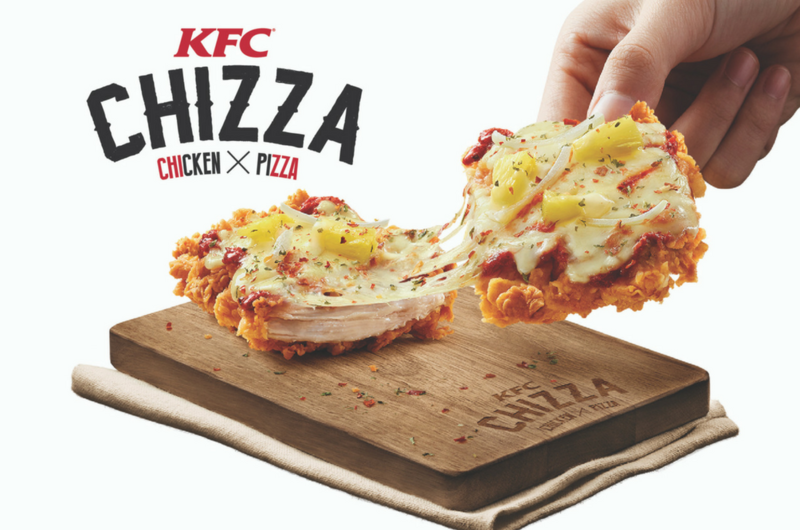 KFC Malaysia threw in a nice surprise when they decided to market the pizza-chicken hybrid in Malaysia. The Chizza was made with a fried chicken patty as its base and overloaded it with some tropical toppings – pineapples, onions, sweet tomato sauce, and of course, mozarella cheese. If you haven't had it before, you can read our review here.